It’s funny how certain spirits fall in and out of fashion. For the longest time Fernet Branca was the go-to amaro for craft bartenders. They put Fernet Branca in almost everything, including themselves via copious amounts of shots. Like all things, there’s an ebb and flow to what’s in fashion, and while Fernet Branca isn’t going away anytime soon, the unbridled enthusiasm over it has clearly begun to fade [see our piece The Fuss About Fernet for more on Fernet]. 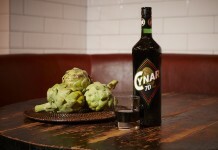 Luckily, the amaro universe is quite vast with a wide array of character and flavors, many much easier to actually mix with than the unflinchingly strong Fernet Branca. Like Fernet Branca, Amaro Montenegro has been around for a very long time. It was first produced in the late 19th century (1885) in Bologna by Stanislao Cobianchi, who ignored his family’s attempts to push him into a different kind of spirits career: a clergyman. The name for Amaro Montenegro comes from Princess Elena Petrović-Njegoš of Montenegro (good thing they didn’t use her whole name) who in 1896 married King Victor Emmanuel III of Italy. 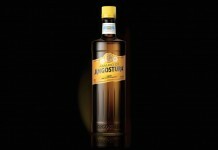 Amaro Montenegro was an essential part of the king’s wedding celebration, which helped launch it to prominence in Italy. Although production was halted during World War II and the Amaro Montenegro factory in Bologna was severely damaged by the war, Amaro Montenegro managed to regain its stature as one of Italy’s most popular amaro, a status it continues to enjoy today. As with most amaro, the exact recipe for Amaro Montenegro is a closely guarded secret. What we do know is that it contains 40 herbs and botanicals including licorice root, saffron, and orange peel, but beyond that it’s just conjecture. 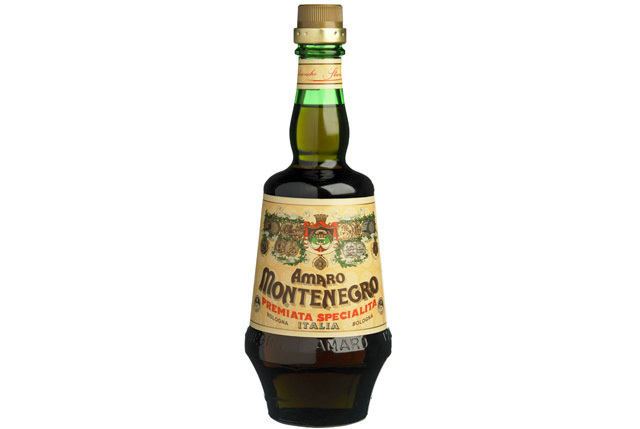 Amaro Montenegro Liqueur Italia (23% ABV / 46 proof, $26) – although it has caramel coloring added, the appearance of Amaro Montenegro is much lighter than many other amaro. The nose for Amaro Montenegro is also much more floral than most other amaro we’ve tried, with rose petals leaping out of the glass. Right underneath the rose is lavender, dried orange peel, coriander, black pepper, allspice, cassia bark, licorice root, wormwood, and saffron. The entry for Amaro Montenegro is lightly sweet and leads with rose petals, dried orange peel, and cherry. Although it tastes sweet, it’s not cloyingly so. The mouth feel is very light, which helps complement the light floral and dried citrus of the opening. Behind the lighter, more floral notes is a subtle earthy spice with cassia bark, allspice, coriander, and saffron as well as black tea and tobacco all complementing the lighter, sweeter notes introduced in the opening. The bitterness of Amaro Montenegro doesn’t really come into play until the end of the midpalate, long after we’ve forgotten that we are drinking a bitter amaro. The bitterness is clearly wormwood, which has been quietly standing around during the opening and midpalate only to make itself known in the finish. The finish is fairly long and does a solid job of bringing all the elements together, but it’s the wormwood that sticks around for quite a while, long after all the other flavor notes have gone. It’s no wonder why many craft bartenders are putting down their bottles of Fernet and picking up Amaro Montenegro. Not only is Amaro Montenegro a kindler, gentler amaro, it’s also a lot more balanced than many of the other amaro on the market, and its light character makes it much more affable to mix with. Although it’s a little floral, Amaro Montenegro manages to weave some really nice flavors together and then present bitterness as a complement rather than as the core. At the end of the day, Amaro Montenegro is bitter, but it does such a fine job of easing you into that bitterness that there’s nothing assaultive or aggressive about it. Amaro Montenegro is currently available in New York, California, and Massachusetts and has been steadily expanding to other markets. It can also be purchased online at Drink Up NY or Hi Time Wines.